Hydraulic drives continue to be used in numerous applications in automated industry. With HYDROTRAINER-200 you will be able to meet all your training requirements in the technology related to these drives. Designed using top-quality industrial materials it has everything required in order to start working from the very first day. 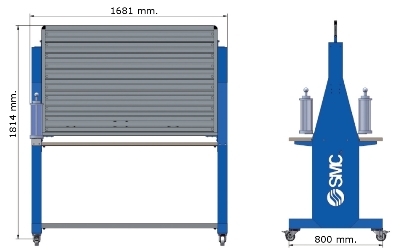 TABLE / MOVING ASSEMBLY FRAME - The moving frame within the HYDROTRAINER-200 system has a double sided assembly panel with tables sufficiently large for performing practical work at ease on either sides. It is assembled on four wheels, two of which have a brake, which enables moving and holding it in the classroom simply and comfortably. It includes a glass for volumetric measurements on each side of the panel. 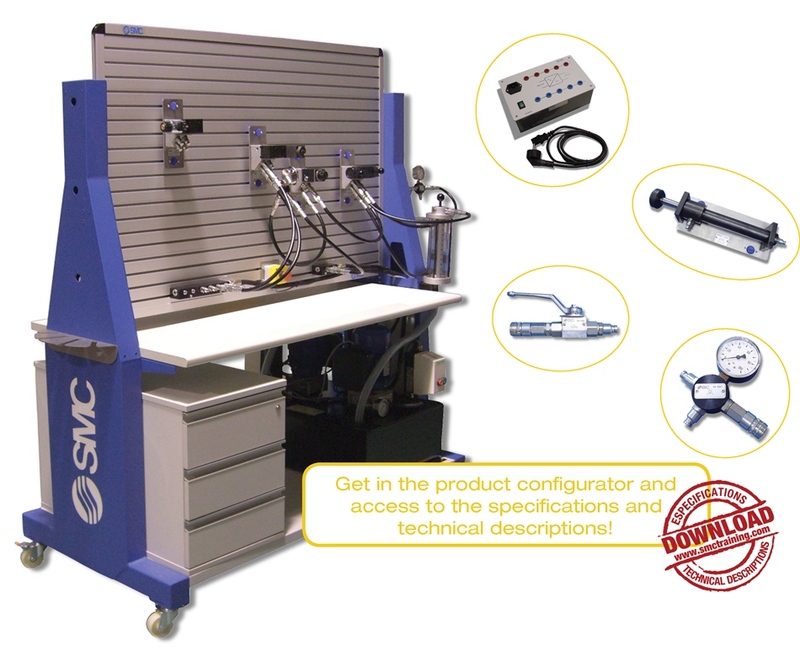 The lower section has a support shelf for holding the hydraulic powerpack and storage drawers for components. DIMENSIONS - HYDROTRAINER-200 has a large enough design for working at ease. The measurements are given in mm below. HERMETIC CONNECTIONS - The hoses, as well as the different devices, are connected to each other with a system of quick-fit self-sealing connectors. This system guarantees a maximum level of tightness whereby ZERO DRIPPING occurs even during connection/disconnection operations. FIXING TO THE PANEL- Each component includes a fixing system devised in such a way as to aid the quick and simple preparation of the practical exercises. HYDROTRAINER-200 has 5 standard kits defined to cover training requirements at different educational levels. Also, the user can configure personalised sets to meet their needs or complement a previously purchased kit. 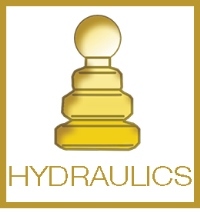 The available hydraulic and electro-hydraulic components are listed below, by category.